Braised Pork Chops is a wonderful lunch recipe. 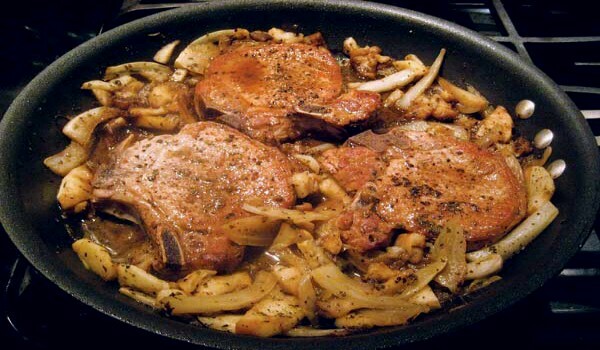 Learn how to make/prepare Braised Pork Chops by following this easy recipe. Mix the marjoram, onion powder, garlic powder, pepper and then sprinkle these over the chops. Heat the olive oil in a skillet and then cook the chops till brown on both sides. Add water and then bring to a boil. Reduce the heat and then simmer for 60 minutes until the chops are tender. Remove the chops and mix the chicken broth and cornstarch. Add this to the pork juice in the skillet. Boil and stir for 2 minutes until thick. Pour over the chops and then serve.